An unseen investigation by Stieg Larsson, the late journalist and author of the Millennium Trilogy, has come to light and will be revealed in a new true crime book. Larsson was a leading expert on antidemocratic, right-wing, extremist organizations. He died in 2004, shortly after delivering the manuscripts for The Girl with the Dragon Tattoo, The Girl Who Played with Fire, and The Girl Who Kicked the Hornet’s Nest. On February 28, 1986, Swedish Prime Minister Olof Palme was shot dead in Stockholm. The crime is still unsolved today. It’s now known that Larsson began his own investigation into the assassination—continuing the search until his own death. In 2014, journalist and documentary filmmaker, Jan Stocklassa gained access to the 20 boxes of Larsson’s research into the case. The Man Who Played with Fire will be published by Amazon Crossing, Amazon’s literature in translation imprint. It will be translated from the original Swedish by Tara F. Chace. The book has a publication date of October 1, 2019. Stocklassa is also the executive producer of a documentary of the same name that focuses on Larsson’s research into extreme right-wing groups. It premiered at the Sundance Film Festival in January 2019. Clarice Lispector is a legend, known the world over for her dark genius and glamour. 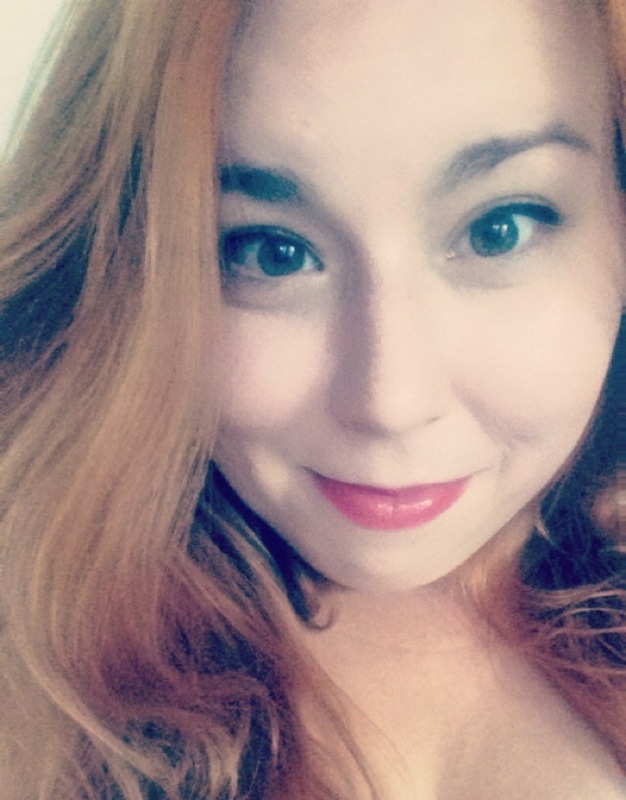 She inspires cult-like fervor in her readers. 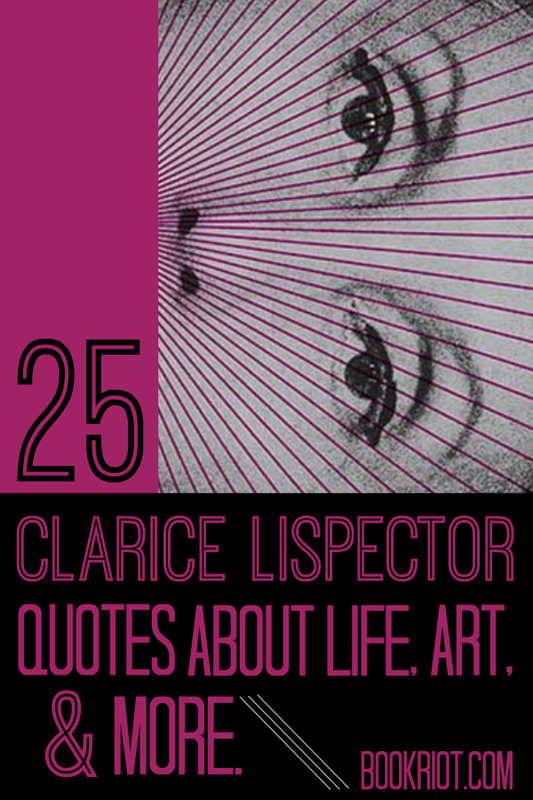 Be inspired by these cutting and brilliant Clarice Lispector quotes on life, art, and more. 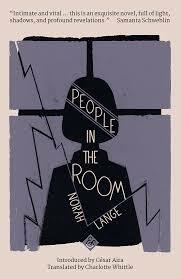 Do you have a favorite Clarice Lispector quote that isn’t on the list? Share it in the comments! Looking to read more Clarice Lispector but don’t know where to start? Check out this reading pathway through her books. I don’t know how I ever got to sleep before audiobooks. I did, clearly, or I’d be dead, but audiobooks are now a permanent fixture in my sleep routine—an enviable eight plus hours of peaceful reverie almost every night. How’s that for sleep goals?! For me, an audiobook just takes the edge off when I’m trying to fall asleep. I’m a light sleeper and when I’m listening to an audiobook I’m less likely to be startled awake by a car alarm or door slam than if I was falling asleep in relative silence. And I’m not thinking about my day or my to-do list because I’m listening to the book. I’m probably not absorbed in it, but that’s perfect. I don’t want to stay up reading! The audiobook smooths out all of the edges that, for me, come with falling asleep, the distractions and anxieties, and nudges me gently off to sleep. 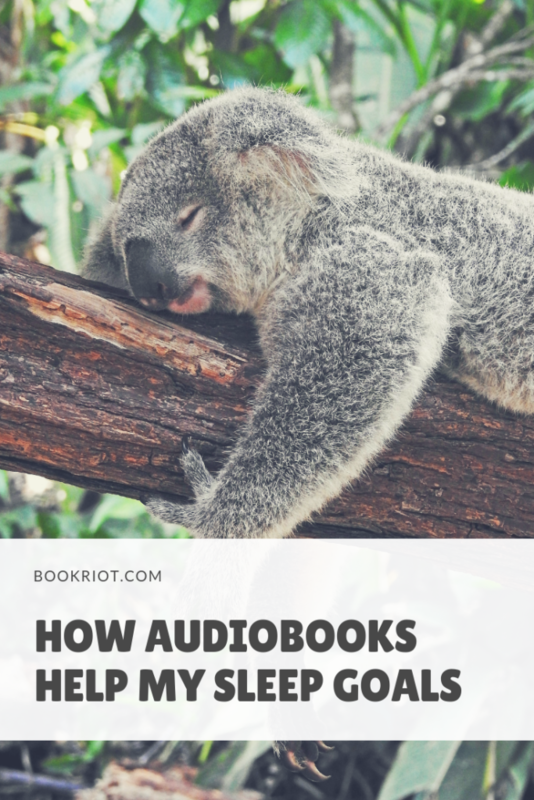 I’ve selected some of my favorite audiobooks to fall asleep to and collected some great resources from other Book Riot contributors to help you incorporate audiobooks into your nightly routine too! I’ll also add that all of these books are amazing and should be read in the light of day too. Do you have a favorite audiobook to fall asleep to? Let me know in the comments below! My hands-down favorite audiobook to fall asleep to is H is for Hawk by Helen Macdonald. 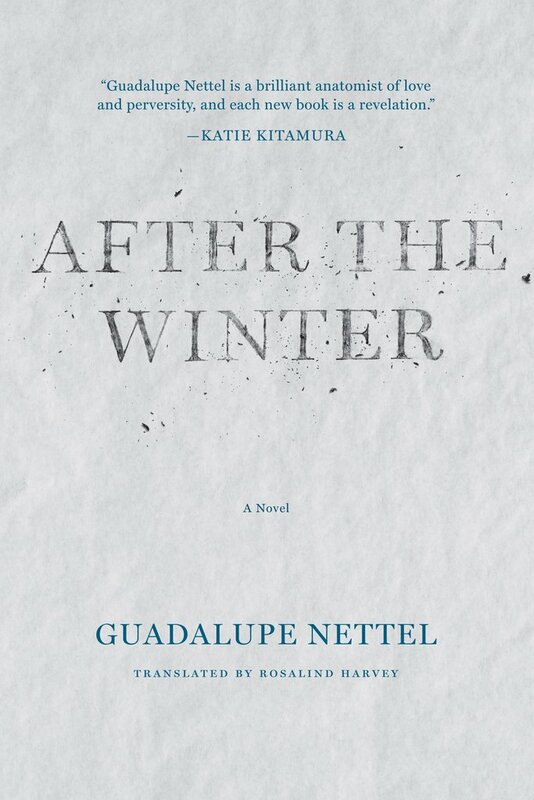 It is a raw, haunting, and masterful book in its own right but it’s an even better audiobook. In the wake of her father’s death, Helen Macdonald adopts and raises a goshawk, detailing her battles with the feral creature that is her grief. Macdonald also weaves in the story of the life of T.H. White, the author of The Once and Future King, into her own narrative. White also wrote The Goshawk, a book that profoundly affected Macdonald and she discusses it extensively. In the book, White details his own training of a goshawk. Macdonald’s reading of H is for Hawk is affecting and beautiful—I can’t recommend it enough. 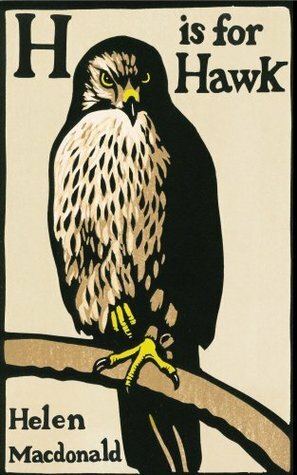 If you like H is for Hawk and want more nature writing to fall asleep to, my next suggestion is The Peregrine by J. A. Baker. In The Peregrine, Baker follows the daily comings and goings of a pair of peregrine falcons. He documents what he sees of their activities “with an extraordinary fusion of precision and poetry.” It is a classic in the nature writing genre and the voice of the narrator Dugald Bruce-Lockhart is reminiscent to me of David Attenborough. And with the subject matter, it’s very easy to dip in and out of and not feel like you need to listen for plot, just some gorgeous descriptions of falcons and the English fens. An international bestseller, The Travelling Cat Chronicles is a sweet and poignant story of Nana the cat, his owner Satoru, and their journey around Japan. It’s a charming story (I’ll admit to crying at the end) and I’d recommend it for comfort reading. George Blagden, the narrator, has a lovely, clear voice and he captures the tone of the book well. After reading it the first time straight through—you’ll want to know how the adventure ends—tuning in to sections of this journey, like Nana the cat seeing the ocean for the first time or teaching a kitten to hunt, will be perfect to fall asleep to. 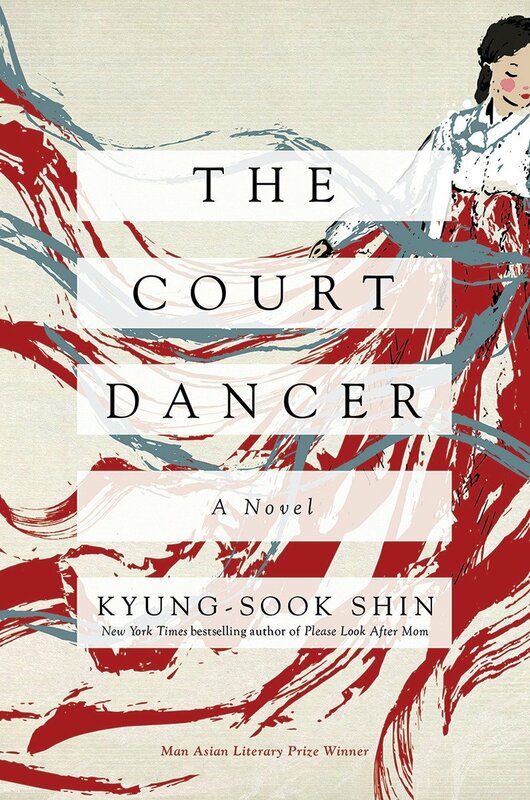 Written by Man Asian Literary prize winner Kyung-Sook Shin and translated by Anton Hur, The Court Dancer is a historical novel set during the dramatic final years of the Korean Empire, the Joseon Dynasty. Based on a true story, The Court Dancer follows the tale of Yi Jin, an orphan who is adopted by the royal court and becomes a beloved dancer. When a French diplomat visits he is mesmerized by the Korean Empire but more specifically with Yi Jin. The writing is beautifully lyrical and narrator Rosa Escoda’s voice captures this and is richly expressive. Poet laureate Tracy K. Smith is a national treasure and although I’ve always loved her poetry, I had never thought to listen to her collections on audio. She has a great voice, emotive and resonant, and it’s a joy to listen to her read. But her poems are not to be slept through and so, in this instance, I’m recommending that you listen to a poem or two as part of a nightly routine. I think about them deeply, even sometimes playing them a couple times, and I’ve found that it has helped me focus, center, and get up the next day with those reflections in mind. 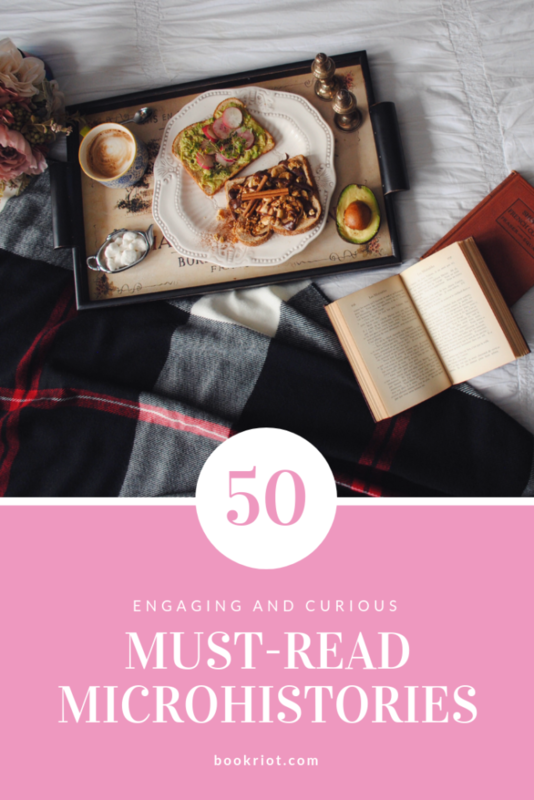 This post was originally published on Book Riot as part of New Ears Resolution Week. After a record-breakingly frigid Thanksgiving here in the northeast, I’m dreaming wistfully of August. BBQs, beaches, and bikinis are all good but I mostly just miss being able to go outside without wrapping multiple scarves around my face. It’s the little things in life! I also miss Women in Translation Month. This past August my social media feed was packed with great book suggestions and conversations and I loved it. 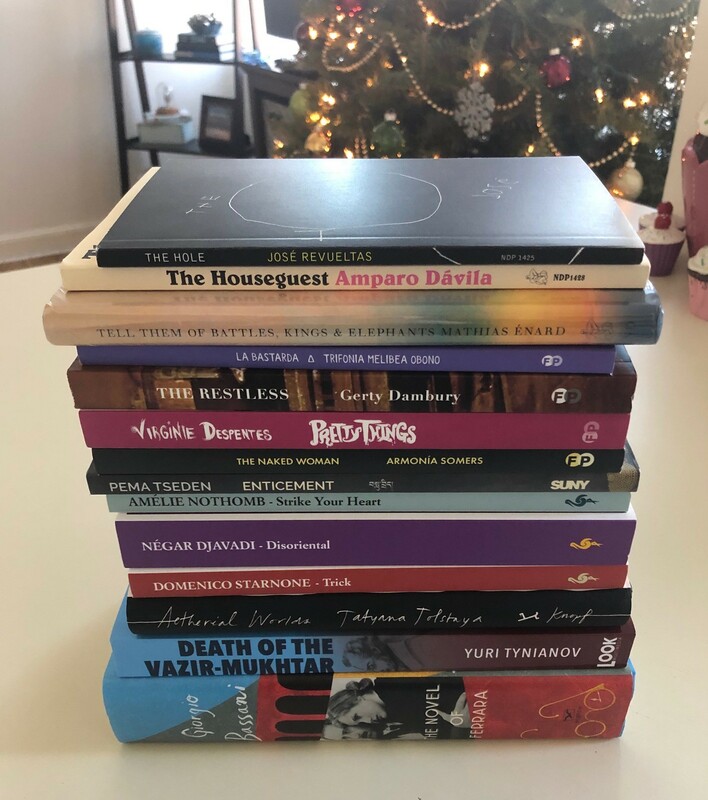 But it doesn’t have to be August to read women in translation and I’ve picked out a selection of great titles by women that are eligible for this year’s award. I took my time with this sharp and stunning novel and I absolutely loved it. In parallel and entwining narratives that move from Havana to Paris to New York City, After the Winter is a novel ultimately about the human impulse to love, and yet it’s unlike any other love story I’ve ever read. 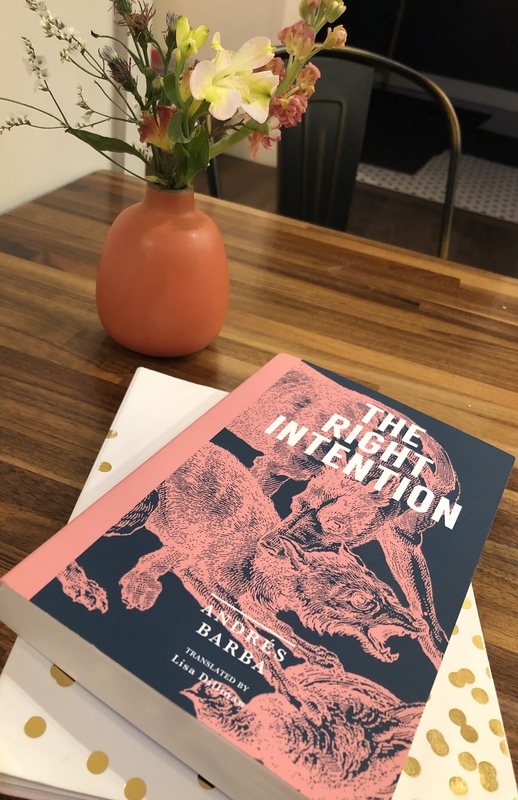 The writing, in Rosalind Harvey’s brilliant translation, is nothing short of transcendent—subtle and dark but also surprisingly funny. Going forward, I want all of my love stories to have this many cemeteries in them. An Elderly Lady Is Up to No Good is dark, funny, and oh so satisfying. Maud is an 88-year-old Swede who has no scruples about solving life’s problems with some low-key murder. I enjoyed this story collection and am planning to pick up Helene Tursten’s mystery novels. An Elderly Lady is also just such a great package—the title is fun and clever, the needlepoint cover is hilarious, and the small trim size finishes it off perfectly. I’m a huge fan of The Iliac Crest by Cristina Rivera Garza and translated by Sarah Booker and I couldn’t wait for the upcoming The Taiga Syndrome, Garza’s take on a contemporary Latin American detective novel. The narrative follows an ex-detective as she searches for a missing couple. It’s complicated and genre bending, with nods to fairy tales—Hansel and Gretel and Little Red Riding Hood specifically—and written in a striking style that’s all her own. The dark, unsettling tone really hit the spot for me in the midst of my fall reading. In a starred review, Kirkus calls it “An eerie, slippery gem of a book” and I just love that description. No list would be complete without a mention of Fox by Dubravka Ugresic and translated by Ellen Elias-Bursać and David Williams. Fox is astonishing. Complicated, intricate, funny, and wicked smart. And I’m crazy about Eventide by Therese Bohman and translated by Marlaine Delargy (if you’re keeping track, that’s two mentions of Delargy in this piece!) This insightful novel is at once cutting and beautiful. The prose, the character Karolina, the reflections on art and love—it’s masterful and devastating. I could go on but I won’t. I have to go outside and it’s going to take a while with these scarves.